Tim (Barry Watson) is a successful magazine editor with a paralyzing fear of closets and darkened rooms because some kind of supernatural killer ghost/goblin thingamajig made his father disappear fifteen years earlier. Receiving word that his mother (Lucy Lawless in ghoul makeup) has died, Tim returns to his hometown to settle her affairs. His childhood shrink convinces him that the best way to conquer his fears is to spend the night in the house his father was attacked in. Tim follows the doctors orders - which was a very fortunate turn of events for the film's screenwriters. The next hour or more consists of Tim wandering around in the dark, opening doors, closing doors, giving puzzled/frightened facial expressions, and reacting to loud noises on the film's soundtrack. A computer generated "boogeyman" shows up, and Tim defeats him without too much trouble. 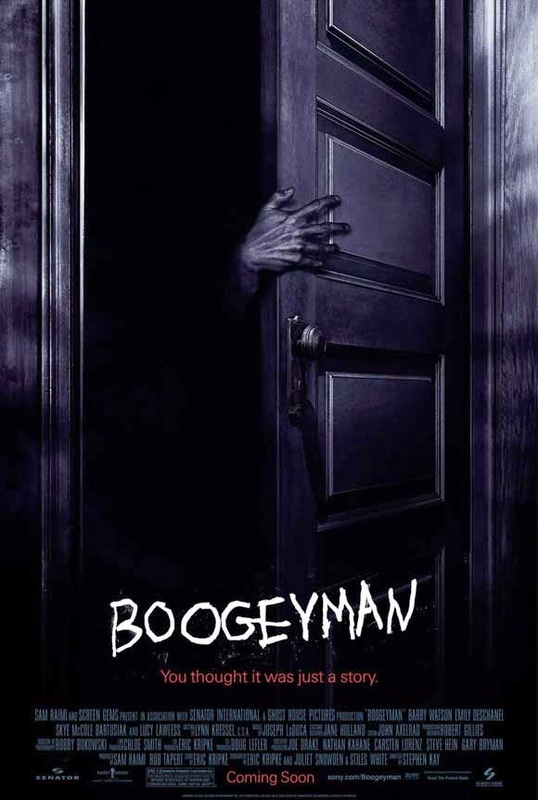 Boogeyman isn't so much a movie as it is a series of eardrum-rattling bangs and clangs, droning shrieks, halfhearted emoting, and a preponderance of footage edited together in the most seizure-inducing manner possible. In short, it is exactly like every other film that Hollywood likes to call "horror" these days. Director Stephen Kay works hard to ensure the film manages to be both boring and irritating, and that the characters are as bland and uninteresting as possible. Who needs a coherent, engaging screenplay when you've got an arsenal of modern horror techniques at your disposal? Boogeyman manages to be nerve-rattling, alright, but for all the wrong reasons. A French couple moves into an old dark house in Romania. The process of settling in is seriously complicated one night when something or someone begins stalking them in their new home. That's all the plot you are going to get out of Them, a very lean, mean little movie that wastes little of its 77 minute running time on setting up this nightmare scenario. It doesn't have to. Directors Palud and Moreau aren't interested in story - only in scares. They certainly have the techniques down - from the dark, dreary digital photography to a soundtrack that'll have you looking over your shoulder, the makers are in full control of the action. All that is required of the film's stars, Olivia Bonamy and Michael Cohen, is a lot of running around while looking frightened, which they do fairly well. This is a short, effective film that doesn't overstay its welcome. My only criticism is with the film's prologue - a scene featuring a mother and her daughter being terrorized in their car. Too much information about what is to come is given away, and it seems to have been tacked on, presumably to fatten the movie up a bit. I don't want to give away too many details about the film, as the less you know going into Them the better. It's supposedly based on real events, though there is no question that the makers took a good number of liberties with the source material. I advise against looking into the film's inspiration until after you see the movie. 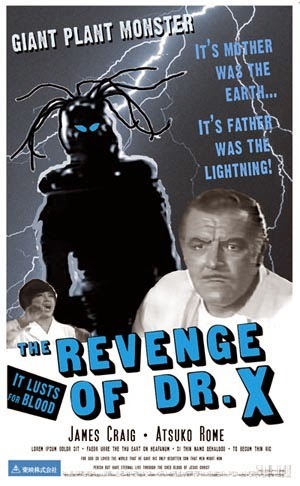 Some folks have said that this is one of the scariest movies of all time. I wouldn't go that far, but I will say that Them is a very well-executed thriller that deserves a rental.